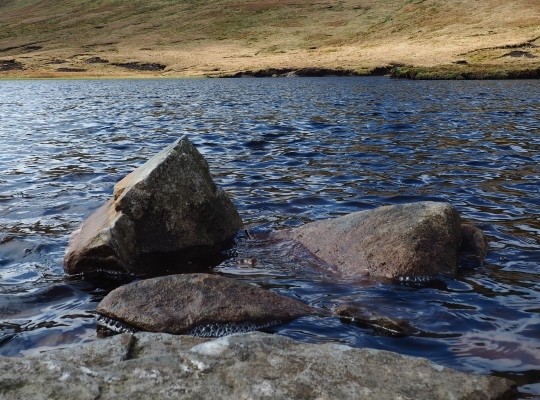 Greensett Tarn is one of the larger tarns in the Yorkshire Dales and is situated on a moorland shelf between Greensett Crags and the final upper slopes of Whernside. Clearly visible to walkers heading on to Whernside on the main path from Ribblehead it is seen from above by thousands of people every year, of these only a handful ever bother to visit the tarn. 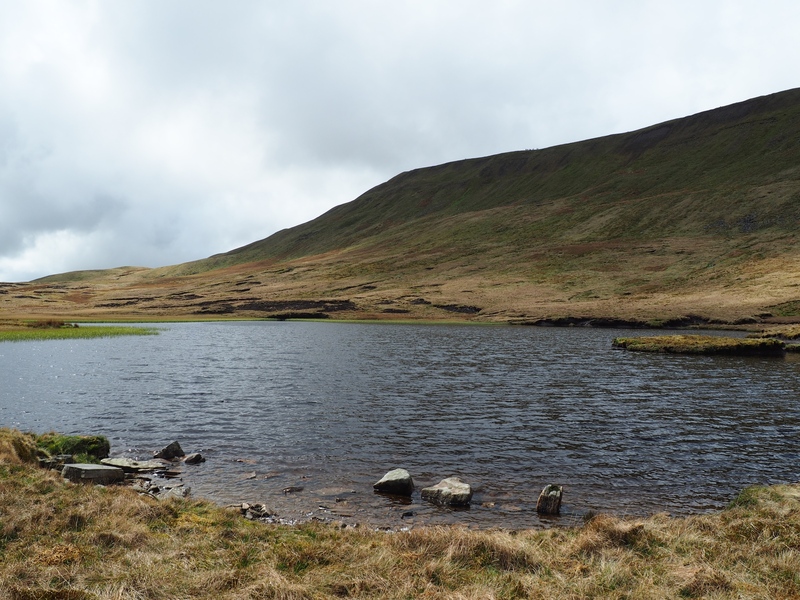 This is a shame as Greensett Tarn is a lovely sheet of water with the final upthrust of Whernside providing a fine backdrop. 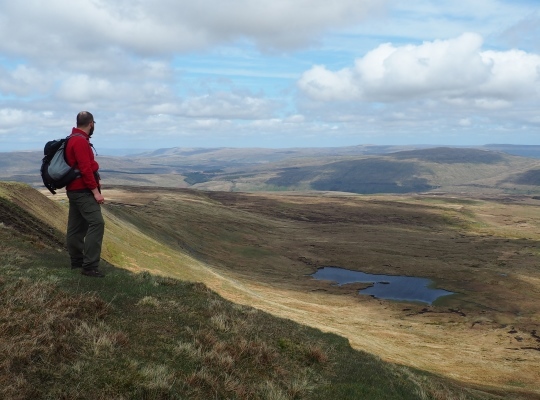 A visit to the tarn is one of the highlights of a quiet and hugely enjoyable ascent of Whernside that also includes a visit to the waterfalls of Force Gill. It makes a lovely place to stop and enjoy the piece and quiet whilst also noting the lines of small ant-like figures on the ridge above.